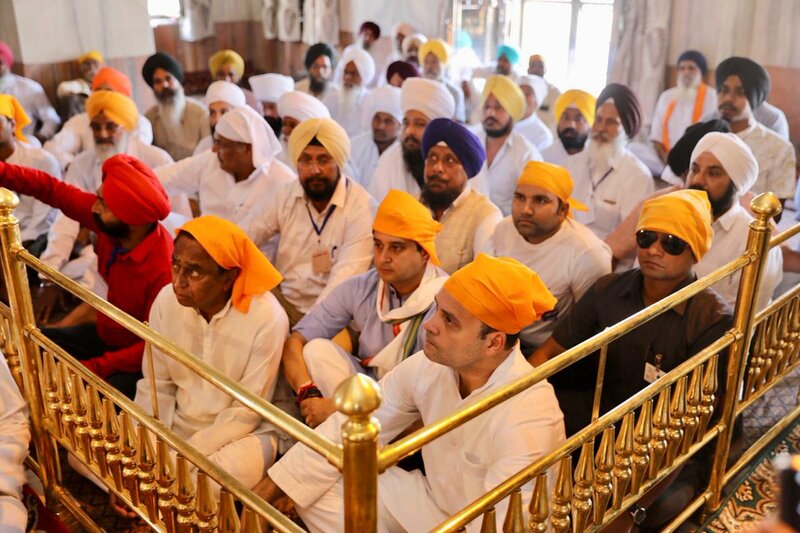 Congress president Rahul Gandhi visited a gurudwara here Tuesday on the second day of his campaigning in poll-bound Madhya Pradesh. 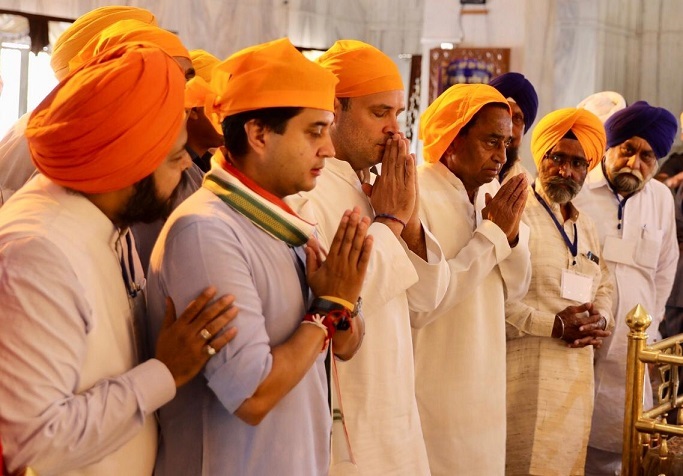 Gwalior: Congress president Rahul Gandhi visited a gurudwara here Tuesday on the second day of his campaigning in poll-bound Madhya Pradesh. Gandhi met Congress cadres here in the morning and later paid obeisance at the Data Bandi Chhor Gurudwara, located in the Gwalior Fort. The gurudwara's head priest presented a sword to Gandhi on the occasion. Gandhi was accompanied by state Congress president Kamal Nath and senior party leader Jyotiraditya Scindia. The three leaders tied a 'saropa' (head scarf) during their visit to the religious place. Gandhi later flew to the state's Sheopur district where he will address a public meeting. After his public meeting in Sheopur, Gandhi will hold a 42-km long roadshow in Morena district. He will fly to Gwalior in the evening. The 48-year-old Congress leader, who is on a two-visit to the state, went to Moti Masjid here Monday night and offered prayers.